Many people are under the assumption that putting money into the bank or into a little box under their mattress isn’t an investment. They’re wrong. Investing doesn’t just have to be about putting money into some type of stock market or investment fund to get a return on the money. Even the small amount of interest in a personal bank account could be considered a return on your investment. Putting money aside is just the same as putting money into the markets. You’re still putting money into a different location to be accessed at a later date. Even if you are an active investor, saving money should still be part of your monthly investment expenses as it’s just as important as actively putting money into the stock market. But how do you save money effectively? Below you’ll find tips and tricks to find money to put aside each month. There is no real secret to saving money every month. There are many different ways to find the money in your budget to save, but the most important aspect to everyone’s saving plan should be the same. Saving money every month should be considered an expense, not an option. Just like your phone bill and electric bill that you have to pay on the first of every month, saving money should be no different. In fact, it should be one of the first things you pay every month. Instead of going through the entire month blowing off a few dollars here and there on coffee and a new shirt, put the money away as soon as you can and forget that it even exists. Many people make the mistake in thinking that if they have any money left over every month, that’s the money they save. Saving money is an expense and should be treated as such. Thinking of your savings investment as an optional thing will result in you having a lot less money come time for retirement or whenever you need the large sum of cash stashed away. “Alright, I’ve made the commitment to save a certain amount every month. How do I make that happen?” Saying and doing are obviously two very different things and it takes a certain level of commitment to trim your budget in such a way that you’ll have savings left to put away each month. The first suggestion that should be given to anybody looking to save money is to dedicate a long afternoon, or maybe even a long weekend, to sitting down and seriously analyzing your budget. People have a lot of “fat” in their monthly expenses that can be eliminated right away, and some people just need to figure out how to spend smarter. The fat in your budget is your Starbucks bill, or your “let’s go out to lunch twice a week” bill. By cutting back on these things you’ll find huge sums of money left over each month. If extraneous expenses like coffee or McDonalds are what are holding you back, you’re in good shape. I like to use a rule of halves. Next month analyze how much you spend each month on each “extra” thing that’s in your lifestyle and cut that cost in half. Say you currently spend $100 a month on lunch every month with your coworkers. If you cut that monthly budget in half, say down to $50 or $60 and cut down on the number of times you go out by half, you’ll see huge savings at the end of every month that you can allocate into your savings expense. If your saving problems are much greater than spending on extra things and you’ve already cut down significantly on your extras to the point where you still don’t have any money to save each month, here are a few things you can try to find extra pennies in the budget each month. Remember, saving is a must and not an optional expense. Thinking of it just like your mortgage or phone bill is a good way to visualize your savings account. If it doesn’t get paid, there are consequences. If all of the above things don’t help you cut down on your monthly spending, it may be time to consider a few more drastic measures. Some people really struggle to save and that’s not OK. It takes a strong will and even more savvy to find money to save each month to put away for retirement. So if you’re in a deep financial hole and can’t get out of it, here are some even more serious things you can try to get extra cash each month. As said, for those in more serious financial trouble, consider a few of these tips. Many of us have ceiling fans in our homes that never get put to good use. If you live in a hot part of the world, consider increasing your air conditioning temperature up one degree, say to 78 Fahrenheit instead of 77, and in the winter months, drop it down one degree cooler than normal. To compensate in the summer, turn on your ceiling fans as they use far less energy to cool a house than an air conditioning unit. In the winter, wear an extra layer of clothing. This extra degree on your thermostat can mean big savings in the long term. That extra $20 a month in the summer is a good start towards a savings plan. In addition to the air conditioning tip, another big money saver is groceries. Most of us ignore the 2 for 1 sales at grocery stores when we shouldn’t By taking advantage of weekend sales and special deals with coupons (you can find them online for your favorite grocery store in less than a minute or two) you stand to save hundreds of dollars a year. Eliminate Your Credit Cards: Credit cards sitting in your purse or wallet are just asking to be spent. If at all possible, get rid of them ASAP. Credit card companies know that the majority of their customers are unable to pay their bills back on time and are in some type of financial hurt. If you can find a way to get rid of any and all credit cards you have, you’ll be all the better. By not being able to spend money you don’t have, you won’t be facing into another bill at the end of every month and those nice shoes you saw at the mall or that cool TV you saw on your way home from work will just have to wait until Christmas time when you can afford it. What’s the problem with credit cards? It shouldn’t be rocket science how credit cards work, but for those unfamiliar with the tricks credit card companies employ, here we go. If you buy something with your credit card you will receive a bill at the end of the month with how much you owe your credit card company. You can either pay the bill in full or pay a partial payment on the card to knock some amount off of the balance. The problem lies in the latter situation. By paying off the minimum balance every month, you’re probably paying your credit card company something on the scale or 25-50% interest. This interest on your monthly payments means that by the time you actually pay off your credit card debts, you’ve shelled out almost two or three times as much as the actual cost of the item. Recent laws have been passed that prevent credit card companies from overcharging or hiding these sky high interest rates on their bills. Because many people are unaware of what the 23.9% APR means on their bill, government agencies have forced companies to calculate how much a consumer will pay in the long run if they choose to just do minimum payments. Think Wisely: It may not seem like much of a tip, but convincing yourself that you have the willpower to save monthly is a big part of actually doing it. If you can mentally condition yourself into thinking that you’re capable of being a power-save, which you are, you will find that every time you’re about to buy a bar of chocolate or coke at the petrol station you will have the ability to just say no. Thinking like someone that saves is more important than you think. Shop All At Once: We already mentioned a tip for the grocery store, but if the coupons just aren’t cutting it, try this tip. The average consumer makes 3 trips to the grocery store every month. Most families have one “big shopping” trip they make in the middle of each month and on the tail ends of that, they make 2 additional trips to pick up things like milk and perishable products. If you plan it just right, you can get away with one grocery trip a month. This one grocery trip will enable you to not only buy in bulk, but also save on gas. Most of us don’t like near a grocery store, so that 30 minute drive time is not only a waste of fuel, but also a waste of time. Compute Less: It may be surprising to find out that almost 75% of people in the United States own a computer in their household. In the top income brackets of the country, people can have up to 3 or 4 computers in one home. If your electric bill is high every month, try moving one desktop or laptop computer to the central room of the house. This will encourage people to not use separate computers but instead use the one computer that’s shared between everybody. Share a Car: The average US household has 2 cars. If at all possible, try sharing a car. Two cars are just unnecessary and most of us only drive for about an hour every day. Try and figure out times that are convenient for both parties and save you some gas money. Insurance and gas can cost thousands every year, and that’s a huge chunk of change that could be put into your savings. Remember, your financial future is at stake and if you don’t take serious action now, you’ll hurt down the line. It’s never too early to start saving and if you don’t have a lot of cash to put in your savings, there’s nothing wrong with starting with $20 each month until you get back on your feet. Will Spencer is the owner and editor of Small Business Money, a website providing free tips and advices for young entrepreneurs around the world. 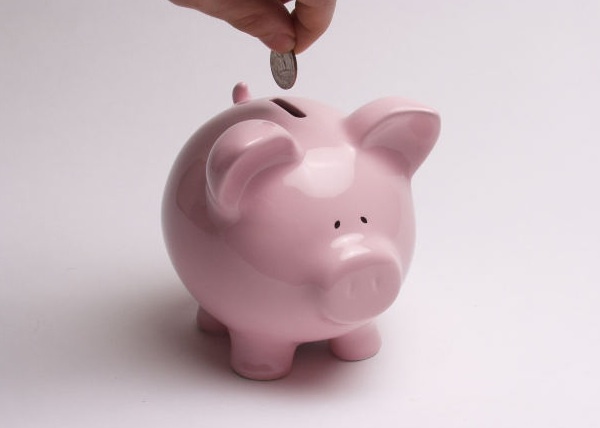 I treat saving money as an expense too…I pay myself first! Great tips for how to save money. Btw, I like you new design! I’ve tried, but I can not make it on just one trip a month. Great tips. we are working on eliminating our CC’s now. We are pretty close and it feels great. Great tips! I need to raise my savings! These are great tips, I am always looking for ways to save money! We’re debt-free, but don’t treat savings as a bill. Need to work on that. Fresh produce cannot be purchased a month in advance. I can’t get it to last a week! Great tips! We canceled the satelite TV service and gym membership last year and saved a lot of money. Saving money is an expense and should be treated as such. Thinking of your savings investment as an optional thing will result in you having a lot less money come time for retirement or whenever you need the large sum of cash stashed away. All the tips are very useful.